George Ritzer is Distinguished University Professor at the University of Maryland. 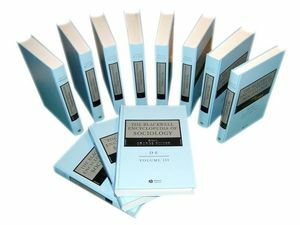 He has a breadth of experience and qualifications for the task of editing an Encyclopedia of Sociology including the fact that he is currently editing the Sage Encyclopedia of Social Theory and this has given him (and his current assistant) invaluable experience. His work has the international distribution and reputation needed to assure global acceptance for such an Encyclopedia, and he has written successfully not only for other scholars but also students in various courses including introductory sociology (his co-authored textbook in this area went through seven editions). He has also written two leading US textbooks in social theory (each of which has sold over 60,000 copies across several editions) and The McDonaldization of Society (which has sold around 120,000 copies over four editions), as well as editing our Companion to Major Social Theorists and for Sage the Handbook of Social Theory and the Handbook of Social Problems. He has held a Fulbright at Erasmus University in the Netherlands, a Fulbright Chair at York University, Canada, the UNESCO Chair in Social Theory at the Russian Academy of Sciences, and was Fellow-in-Residence at the Netherlands Institute for Advanced Study and the Swedish Collegium for Advanced Study in the Social Sciences. He has been a Visiting Professor at the universities of Shanghai (China), Surrey (England), Tampere (Finland), Bremen (Germany) and Nuoro (Sardinia, Italy). In addition, he has given innumerable invited speeches all over the United States and the world, including the 2003 keynote address to the meetings of the British Sociological Association. The American Sociological Association honored him with its Distinguished Contribution to Teaching Award in 2000 (relatedly he has won all of the major teaching awards at the University of Maryland) and he has served the Association in various capacities, including as Chair of its sections on Theoretical Sociology and Organization and Occupations. Entries in alphabetical order (each volume A-E / F-K / etc) including cross references and further reading and ranging from 500-6000 words per entry.